As a designer, I look for interesting and larger than life designers to interview for this column. What drives them? Were they always interior designers? What is their background, past? What are their inspirations? Coming from the fashion world myself, designing stores and showrooms for Ralph Lauren, Donna Karan and Tommy Hilfiger, I understand the industry and how it relates to interiors. The process is similar — yet very different — and is always changing, creatively and businesswise. One (fashion) can lead the other (interior design) depending on each season, and there are few designers who understand that vernacular. Ten years ago, I designed this master bedroom for the Marina Suites for Oceania Cruise Lines using Ralph Lauren furnishings exclusively. A nice example of a fashion-to-interior-design transition — similar to that of this month’s profiled designer. 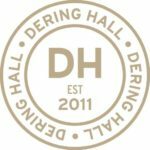 This month I’m introducing you to a very special designer whose early stirrings in fashion appear in her present-day work. Michelle Morgan Harrison of New Canaan-based Morgan Harrison Home is not only a leader in the world of interior design, her creations speak to you through a curated process that can be attributed to early times in the fashion publishing industry. Only in her mid-twenties, Michelle served as the Senior Fashion Editor at Elle Magazine and then Fashion Editor at Mirabella Magazine. From there, she went on to work as Editorial Director for Saks Fifth Avenue. At Saks, Michelle was responsible for all departments and made sure they worked in a cohesive manner to create a consistent and appropriate brand image. The transition from fashion to interiors was a natural progression for Michelle as so many of the skills she honed in the fashion world translated to her new practice. She had the ability to forecast colors, identify influencers and trends in the home industry as she did in fashion. While at the magazines, she developed her design style by renovating her own home in Brooklyn Heights and her summer home in Long Island, New York’s North Fork. Her move to New Canaan came after her first child was born as she and her family were craving more space. Michelle once again transformed her own home into a beautifully designed haven. News began to spread about her amazing interiors, which motivated her to make interior design her full-time work. She shortly left the magazine industry and officially founded her company, Morgan Harrison Home, a full-service interior design firm. 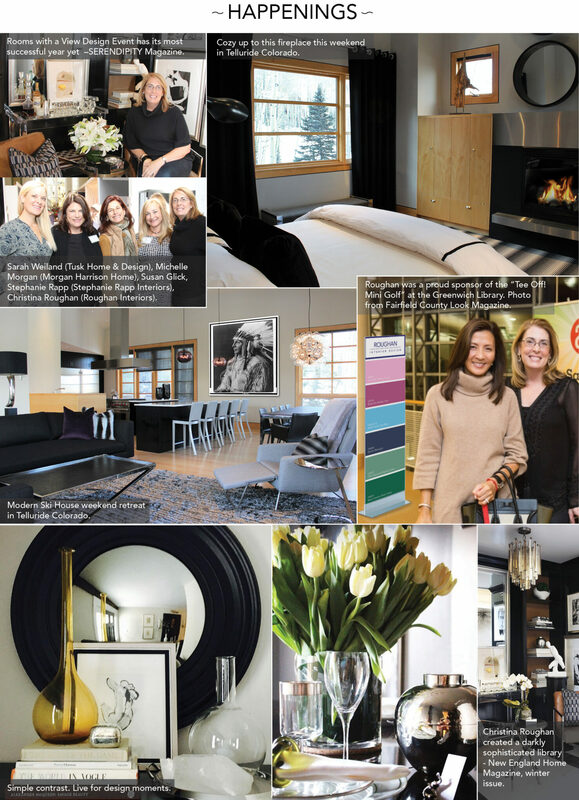 MHH was responsible for designing the first Walin & Wolff fashion boutique locations in New Canaan, Rye and Westport. Her clients since then are diverse — and so are her projects. She takes cues from her clients lifestyle and the way they dress which tells a story that translates to her interior concept. One day when picking her son up from school she and a client spotted one another across the courtyard. The client was wearing white jeans, a yellow tank top and a lavender cashmere sweater, and shouted to Michelle, “Am I wearing my kitchen?” MHH had designed a kitchen for her which was white with accents of yellow and hints of lavender. Perfect pairing for a very happy client. Michelle’s inspirations come from many different mediums such as shelter, fashion magazines and fabrics. She may see a fabric and its color depth and texture may inspire an entire room. Each of her projects is different and represents her clients and the way they live. What projects are on the horizon for MHH? Michelle told us, “An amazing pool house and a modern home in Greenwich with floating stairs. She is very excited about both projects, describing them as, “organic, creative, subtle and different.” As a designer, I can’t wait to see the results! 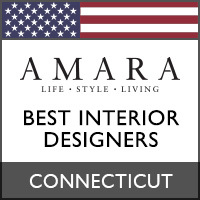 Morgan Harrison Home is a full-service interior design firm located in New Canaan CT.
Editor’s Note: Welcome to Designer on Designers, a KLAFFStyle column by designer Christina Roughan of Roughan Interiors. 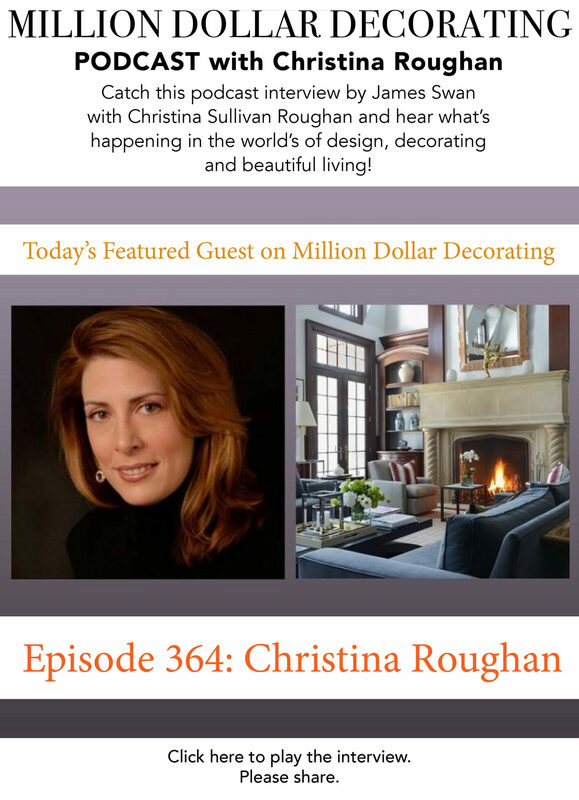 As an interior designer for more than 20 years, Chris has met and collaborated with some of the best-known design professionals in the industry. She is, in fact, a designer’s designer, having completed commercial and/or residential assignments for Ralph Lauren, Tommy Hilfiger, Donna Karan, Takashimaya and many other noted clients. Chris will be interviewing her colleagues from the designer’s point of view and sharing their design insights.